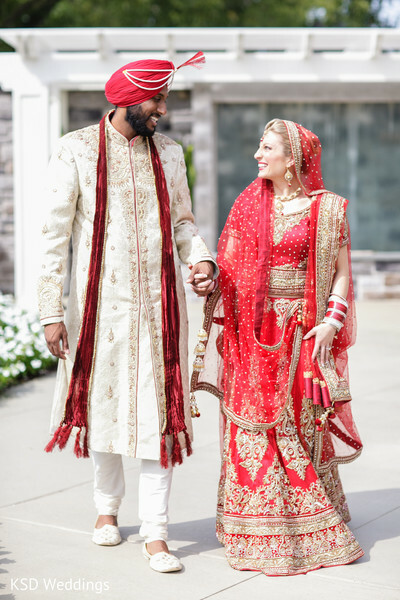 Moments before saying their I do's in an Indian fusion wedding ceremony at the Springfield Country Club in Pennsylvania, our dashing duo poses for KSD Weddings in a magnificent first look photo shoot! Our Italian Maharani in red looks exceptional in her lengha, which is detailed to perfection! This bright shade of red is perfect on her fair skin! 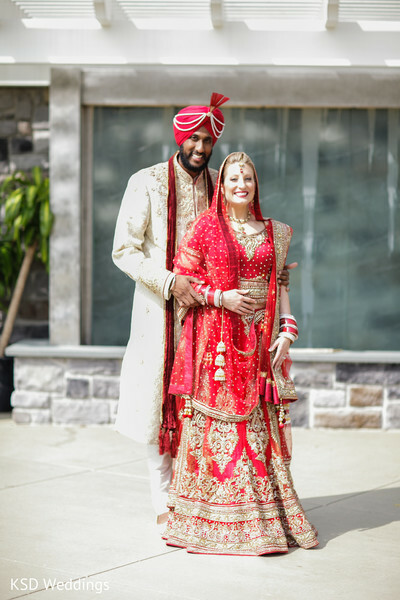 Her Indian Maharaja is not to be outdone in a traditional sherwani and dynamic headpiece! They are a picture-perfect couple and their chemistry is clearly undeniable! The couple exchanges vows in a quaint ceremony, in which Cottage Flowers provides all the fabulous floral arrangements! The ruby and white fabric encompassing the Abhishek Decorators-designed mandap looks sensational with vibrant red and yellow roses wrapped around it! 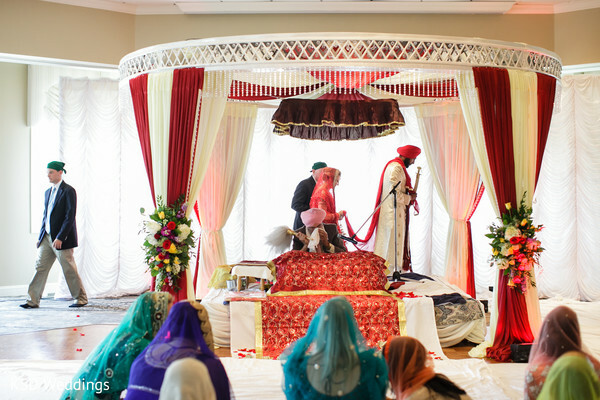 See more magical moments from their Indian nuptials in the gallery! 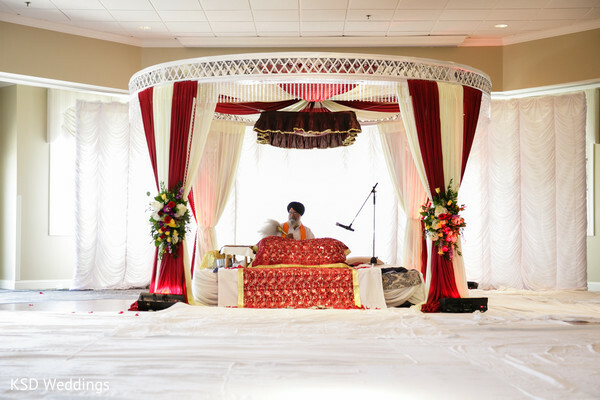 "My wedding style started with the fusion of two different cultures: both Indian and Italian. Luckily, both cultures appreciate over-the-top elaborateness as well as good food and wine. Thus, my wedding style consisted of things that were, in my opinion, larger than life. From crystal accents to enormous flower centerpieces, I wanted my wedding to reflect opulence, class, and romance. Dim lighting and lit candles helped set this tone, and once I settled upon a color (deep purple with lime green accents), I chose rich linens and accent lighting that would contribute to this tone. The focal point of the evening reception consisted of an opulent stage dressed with manzanita trees, orchids, and beautiful crystals to complete my opulent and romantic vision." Our bride wears a white wedding dress, coming up!